Table sports such as cue sports (pool, snooker and billiards), table tennis and table soccer provide retailers with the opportunity to sell goods to a variety of customers looking to purchase one or all the elements needed to play one of these games. Because the products on a retailer’s shelves and store floor is his investment in his livelihood, it is important that he stocks what will sell best — especially when products such as tables can take up a significant portion of his store. Even if he can make a higher margin from selling tables than from small accessories. Table tennis tables typically occupy less floor space than other table sport tables because they can easily fold away. A table tennis table takes about three minutes to open up or fold away if it is already assembled, Mohammed Baksa of Arons Sport in Limpopo points out. Most retailers who stock tables do not find it difficult to sell these products, because customers nowadays know what they want. “Many bars and shebeens use coin operated tables and will ask for certain types of coin mechanisms,” says Baksa. He believes that sales are good because coin operated tables basically pay themselves off and therefore customers don’t mind buying them. Some retailers even find that table sales are better than that of their accessories. Baksa offers his customers a little extra as incentive: when they purchase a table tennis table they receive a free set of accessories. Thereafter, customers only buy replacement accessories if something has broken, which is usually not often, he says. He also offers his customers a value-added service where he sets up the pool tables for free. There are also retailers who have made the decision not to stock tables at all. 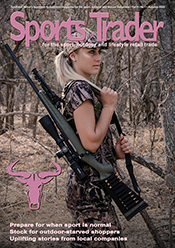 Somerset Sport in the Western Cape, for example, only sells cues and accessories, because they do not have the space to store tables, explains Jaap Engelbrecht. Tables are also more costly than accessories and customers will usually only buy these as a once-off purchase, says Salim Ismail of Champs Sports World in the North West. Out of all the tables, he sells more for table tennis, despite their cost nearly doubling over the last year, from less than R1 000 to just under R2 000. In addition, independents struggle with the price that they can sell tables at, compared to discount chains such as Game, Makro, etc, says Keith Mclaren of Desnic’s Planet Sport in the Northern Cape. Then there is the logistics around stock and deliveries, as well as stock damages in-store or in transit, which can be challenging, explains Tyrone Vieira of Mass Discounters. Compared to a table, which is a once-off purchase, accessories need to be replaced from time to time, which means there is a potential for repeat business. Because consumers often have several options where to play table sports (at home, school, clubs, etc. ), retailers can sell just the accessories on their own, such as a cue that the consumer can take with him to play at a pool bar, without the customer needing a table at home. Several retailers who Sports Trader spoke with report that they sell more accessories than tables. “Accessories go quite well, whereas tables are slow sellers,” says Ismail. Pool consumables like cues, cloths and balls sell well because these products suffer the most wear and tear, agrees Johan la Grange of Pool Table Spares Online. “Cues go skew or bend, balls get dirty and chipped, etc. then players replace them,” he explains. High turnover products also include tips and chalk, which customers have to replace, whereas products such as triangles, and pocket liners, cloths and cushions for tables are items that will only be replaced when a table is refurbished. Many customers will also refurbish their table from time to time rather than purchase a new one, he adds. With its larger recreational audience, more mainstream appeal, as well as its popularity amongst individuals, schools and associations, table tennis is retailers’ best-selling table sport. Customers are more interested in purchasing table tennis because “more schools and clubs play table tennis than other table sports,” says Keith Mclaren of Desnic’s Planet Sport in the Northern Cape. Children are introduced to the sport at an early age, and are therefore more likely to keep playing table tennis. Because table tennis is a more child-friendly table sport, it sells better than others, agrees Baksa, who also sells to schools. Buying table sport accessories and tables can become costly for a consumer when one considers all the different elements, but because table tennis only requires a few items (table, two bats and a ball) it is seen as a more attractive option. Table tennis products are also cheaper, compared to other table games like pool, and therefore sells better, he adds. Table tennis is not only doing well in retail due to its recreational appeal, but it is also being pushed to grow as a sport by the South African Table Tennis Board (SATTB), which runs development programmes such as the Athlete Assistance Program that is funded by the National Lottery Distribution Trust Fund. This programme helps elite level players with living and training allowances, and in some cases even covers the players’ tuition expenses. Additionally, elite level provincial teams gain access to services offered by the High Performance Centre at the University of Pretoria in Tshwane and once the players have completed their professional careers, they are encouraged to continue their personal development and can move into coaching, technical officiating and administrative positions. In other retailers, however, cue sports such as snooker, pool and billiards sell better than table tennis. This is due to the fact that it is a more individual than team sport and customers buy products for themselves, says Engelbrecht. Other businesses situated in the same area as the retailer can also have an impact on what sells. “We have quite a few operators (bars and pubs) in the area and they buy spares, cues, etc. all the time,” explains Ismail, who says that pool is his best-selling table sport because of these operators. Operators will, however, often buy their tables directly from distributors rather than from retailers, he adds. Cue sport has a 29 year history in South Africa, but limitations in funding have hindered its growth as a competitive sport, rather than a recreational activity. The sport’s small number of active participants, qualified coaches, facilities, etc. has not stopped it from reaching the international stage. Pool and snooker players receive Protea Colours for participating in IOC recognised Continental and World Championships such as the All Africa Pool Championships, African Snooker Championships, World Blackball Championships, World 9-Ball Championships and the World Snooker Championships, says Saths Reddy, President of SACCS, the All Africa Pool Association and the vice-president of Blackball International. The South African Confederation of Cue Sport (SACCS) plans to change cue sport’s status from recreational to being a fully-fledged sport. According to their Long Term Development Plan, SACCS wants to attract new participants by identifying local and regional talent and exposing players to high level coaching and competitions, and thereby grow its recognition. To ensure proper methods of teaching the sport, they aim to have a permanent coaching commission where they can train coaches and ensure full-rounded coaching methods. Clubs will be able to offer regular coaching, where beginners can become acquainted with the sport and provincial and national players will have appropriate coaching. They plan on developing event standard facilities and want to ensure accessibility to pool halls, start a school mapping programme focusing on schools and universities and have a training and accreditation system to improve event counselling and planning. Cue sport participation is showing growth and people are interested in playing this table sport, says Reddy. This growth is the result of the recruitment and development drive by the various disciplines of cue sport, which has created awareness of the table sport’s formalised league structures, he explains. Despite limited funding from Sport and Recreation South Africa, the association is trying to introduce the sport to all districts in the country, as advocated by the South African Sports Confederation and Olympic Committee (SASCOC), says Reddy. They have also created a “Cue Sport Promotional Video” that promotes the benefits of the sport among the townships and rural communities in the country. The majority of retailers who we spoke with sell cue sport and table tennis products, but not all stock table soccer tables or accessories. Overall, table soccer seems to be less popular than the other table sports. Table soccer is receiving little interest, agrees Prevlan Chetty, an executive member of the South African Association of Table Soccer (SAATS). This general decline is also a trend they see internationally, he adds. He believes that the fact that the sport is young compared to the other table sports and the shortage of local table soccer manufacturers in South Africa have hindered growth of the sport in South Africa, compared to in Europe. It is expensive to import tables, especially since the association does not have many sponsorships, he continues. “One of the reasons that the European and American Table Soccer scenes are so big, is that they receive financial injectors that fuel growth,” he explains. The future of table soccer in South Africa depends on youth participation and the association has recognised the importance of growing the sport amongst this market, says Chetty. “We have started a grass roots level program by using our tables and going to schools and rural areas,” he says. The association is also currently working on a youth development league initiative in Bosmont in Johannesburg. SAATS also promotes table soccer by hosting Open competitions at public venues, such as malls, where anyone can participate. The SA 2015 Open was held in Johannesburg in the beginning of the year and featured singles and doubles games played in a multi-table format, which was a first for the sport in SA. The event attracted players from various foosball leagues across the country and served as preparation for the 2015 ITSF Table Soccer World Cup in April in Italy, which our men and women took part in.